Prince Philip is heading for surgery. The 96-year-old royal was admitted to King Edward VII Hospital in London Tuesday afternoon ahead of a "planned surgery" on his hip, Buckingham Palace confirmed to the Media. The Duke of Edinburgh will undergo the surgery on Wednesday. Queen Elizabeth II's husband seemed to be experiencing health problems when he pulled out of an annual pre-Easter church service last Thursday, reportedly because of an issue with his hip. 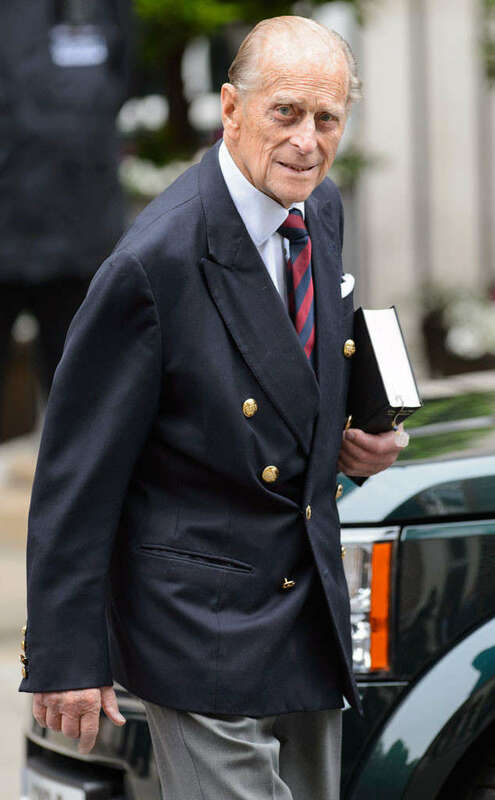 Prince Philip, who announced his retirement from royal duties last May, was expected to make a rare public appearance at the Royal Maundy Service at Windsor Castle's St. George's Chapel and then attend a reception and lunch. His 91-year-old wife ultimately attended the event without him. "The Order of Service was printed some weeks ago when it was hoped the Duke would be able to take part," a Buckingham Palace spokesperson told E! News at the time. "His Royal Highness has since decided not to attend." While many of his royal family members attended an Easter church service on Sunday at Windsor Castle, Prince Philip was absent, though he was not due to attend. He was also expected to appear at a public engagement last week for son Prince Andrew, who was taking over his role as Colonel of the Grenadier Guards. It was reported that Philip did not attend because he was "feeling under the weather." After announcing last spring that he would "not be accepting new invitations for visits and engagements," but "may still choose to attend certain public events from time to time," the royal has kept public appearances to a minimum. He was spotted alongside Queen Elizabeth II in early February when the couple attended a Sunday church service together and also in early March when photographers captured him driving a carriage.